Luckily, there is a more positive approach to take control of your spending and saving habits. Turn “spend less than you earn” on its head. Instead, focus on “earning more than you spend.” Reining in unnecessary spending is part of this. But so is earning more than just your salary. You do not have to be limited by your salary in your current job—there are many opportunities to earn additional income streams to improve your net worth: investing, a side business, etc. In other words, create a position where your assets earn for you. You are not just saving— you are investing. Think about wealth creation from a perspective of possibility—and how to turn those possibilities into reality. If your job is your only source of income, are you “investing” in the following ways so that you improve your ability to earn income through other means? Allow compound growth to work its magic. Every dollar you invest in your portfolio has the potential to double in 7-10 years, depending on the rate of growth. That is a very powerful way to increase your future income stream! So the more you have invested, the higher your future potential income stream. Look to keep costs in check. 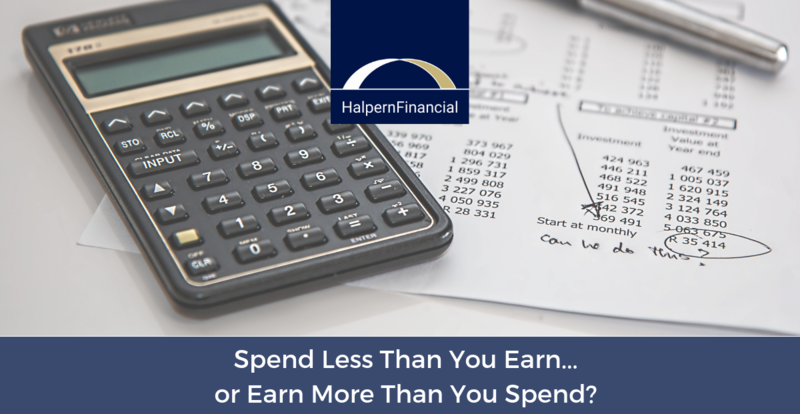 There is always a cost to access markets, but Halpern Financial’s portfolio manager is an expert in keeping costs lean and “finding change in the couch cushions” for our clients via low expense ratios, Institutional level funds, and tax efficiency; thereby adding to your portfolio’s earning potential. Often savers wonder about how to balance paying down debt versus investing. Most financial news articles will recommend paying down debt before beginning to save, but this is far too simplistic a view. Depending on the cost of debt and the time that you have to earn and invest, building your investments while paying down debt will contribute more significantly to your net worth in the long run because the portfolio income can potentially be larger than the debt (which will eventually go away anyway). If you focus only on getting rid of debt, you are forgoing the benefit of time and compound interest. Better to take a more nuanced view to determine what the opportunity cost/benefit really is. While additional education or training does take time and money, think about the likely return on investment. It may be well worth your energy to learn a new skill by studying on your own or via a mentor. Also, take time to network with others in your industry or in another industry that you are interested in. Doing so can enhance career opportunities or provide an avenue to pursue your passion. In other words, invest in yourself with a purpose and end goal in mind. These are just a few ideas to get the gears turning. Reaching your financial goals does not have to be all about scrimping and saving. It’s important to have some discipline, yes—but why not turn conventional financial advice on its head? 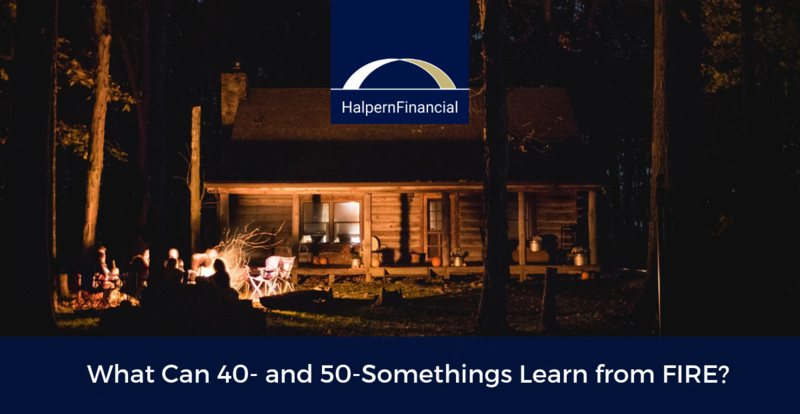 Think about ways to improve your income potential in addition to ways to save on expenses. Approaching your financial life with an attitude of abundance and optimism will yield far more opportunity than an attitude of scarcity and worry.